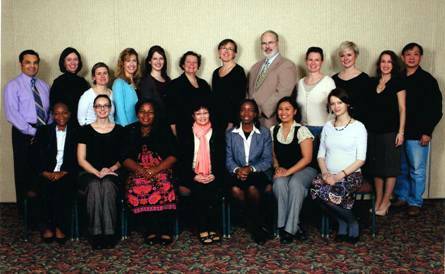 This summer, I will be presenting at the 2011 American Academy of FertilityCare Professionals Annual Meeting, which will be held in Duluth, Minnesota from July 20th through the 23rd. I will be speaking on Thursday morning, the 21st of July, on The Fetal Safety of Progesterone in Pregnancy. During my talk, I will be presenting the largest database in the world on the use of progesterone in pregnancy. I will detail fetal anomalies and will then compare the use of progesterone support with non-use. And, I will review the medical literature available on this topic. I will also be available for two Q&A break-out sessions. The first one on Friday will be for medical professionals and will explore issues about NaProTechnology. The second session on Saturday will be for all attendees and will consider the application of the Creighton Model System and NaProTechnology and will explore practical uses of these in case-related areas. I hope you can incorporate this meeting in your summer plans. For more information and to register, visit http://www.aafcp.org and click on “Annual Meeting” under the Events tab.